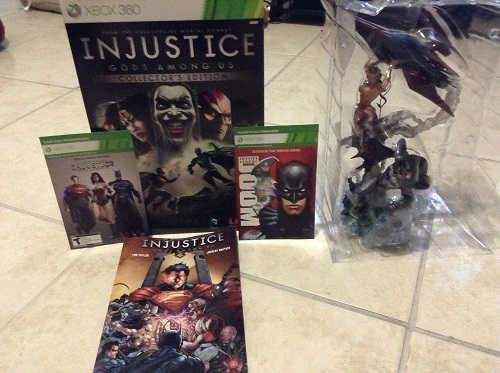 So even though I already own the game, thanks to my sources I was able to snag a copy of the Injustice: Gods Among Us Collector’s Edition for the Xbox 360 yesterday afternoon. I wasn’t planning on doing an unboxing for this CE since there are probably tons of them online already but that changed quickly once I opened up the package. So with that said, lets get to it! 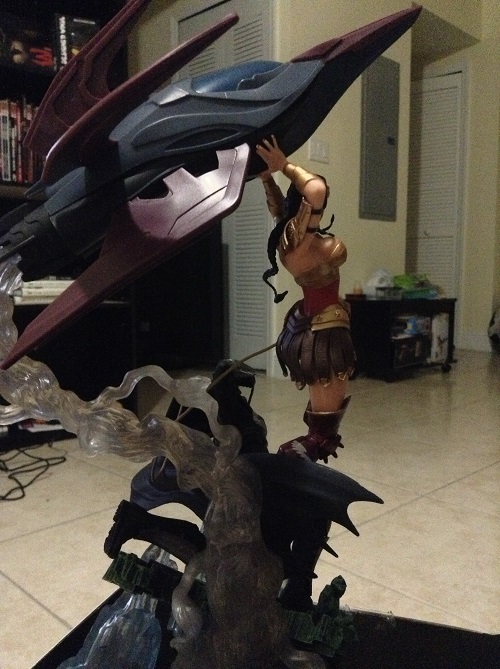 Exclusive DC Collectibles statue that stands over 13 inches and features a showdown between Batman and Wonder Woman in the Fortress of Solitude, and the Last Son of Krypton’s escape ship. 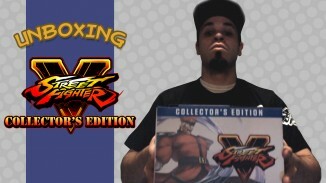 Collector’s Edition of the new Comic based on the game which includes the first 6 chapters. I think everything besides the actual statue is pretty much self explanatory so I won’t go into detail on each item and focus on the statue itself. 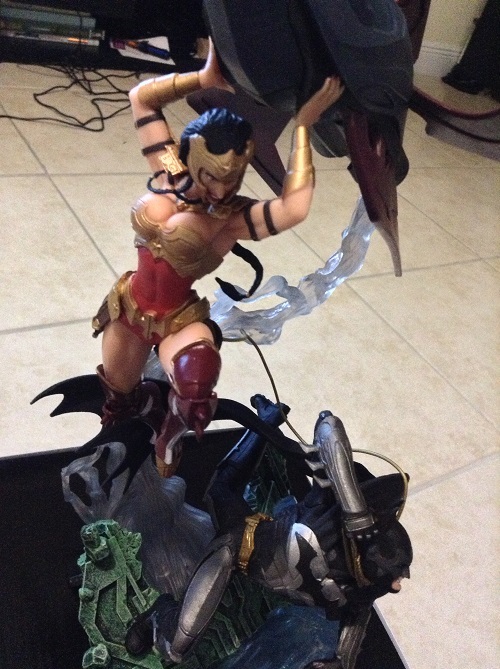 As you can see from the picture above, the statue depicts a fight (in which it looks like Wonder Woman currently has the upper-hand) between Wonder Woman and Batman. The statue’s setting is in Superman’s Fortress of Solitude, hence the ice under Batman’s hand. I really love the detail on this piece. 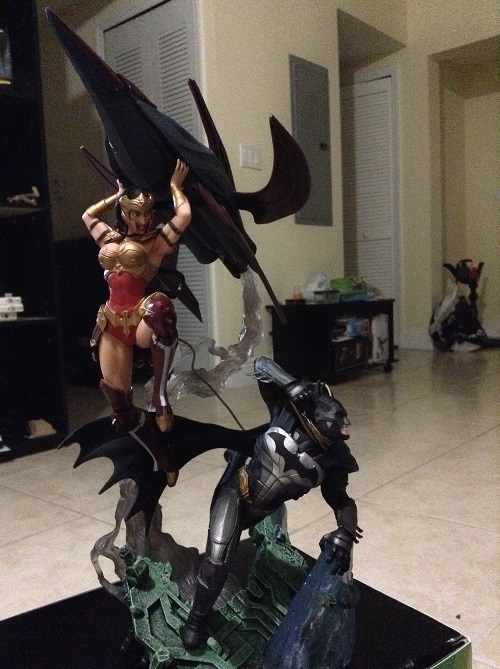 Notice how detailed the sculpt is for Batman and Wonder Woman’s Armor, facial expressions and Wonder Woman’s Lasso of Truth around his neck. 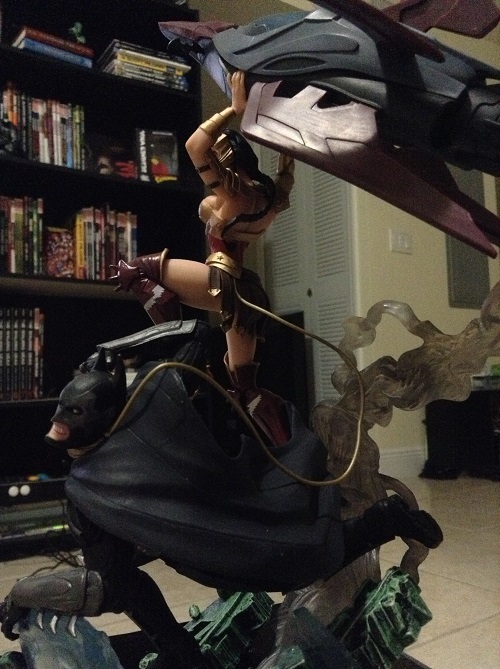 You can really see that Batman is struggling to escape as he frantically tries to remove the Lasso. The detail on Wonder Woman is also very nice (she looks much better here in statue form than in the game! What happened NetherRealms?!). Here is a shot from the side where you can see the clear/translucent smoke trail coming from Superman’s baby ship. Here is a shot from the other side/behind. Overall, I am extremely happy with this Collector Edition as you get a whole lot of bang for your buck (DLC, an animated film, a comic book and a 13 inch statue). While all of the items are great in their own right, the real draw for this set is the amazingly detailed statue (and rightfully so!). The battle sequence depicted here is so over-the-top and I love just how perfectly it captures the essence of Injustice’s gameplay (Gods Among Us indeed). 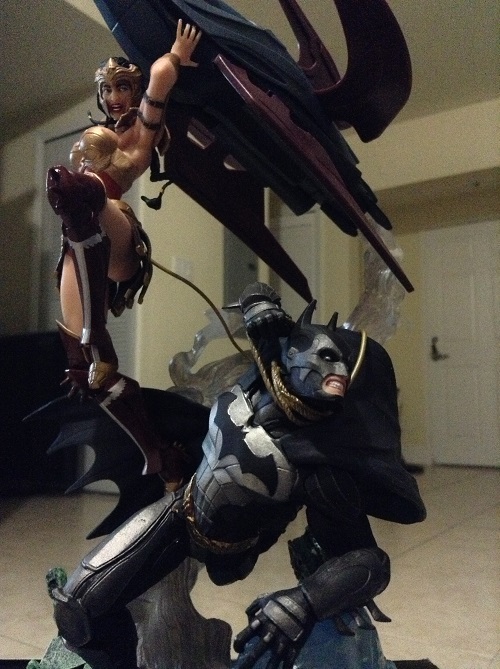 I mean come on, Wonder Woman has her Lasso wrapped around Batman’s neck AND she is also about drop a space ship on him as well? Amazing. 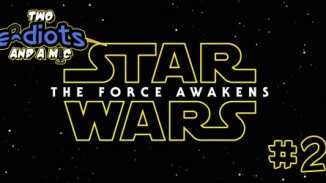 This one is a must-own for DC Comic fans or Collector’s. 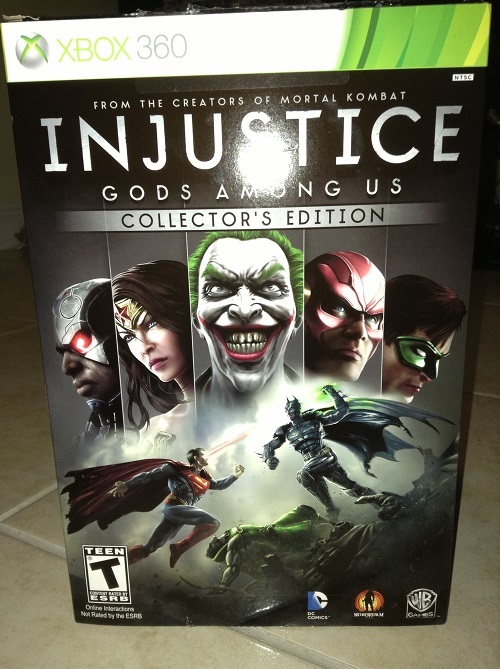 Injustice: Gods Among Us Collector’s Edition was released on April 16th, 2013 for Ps3 and Xbox 360. 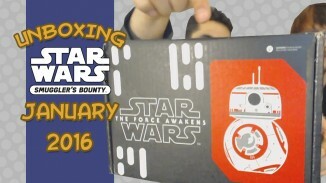 This set is currently retailing for $99.99 USD.